*Katazome is a Japanese traditional stencil dyeing technique. It uses natural materials like paper, persimmon tannins, rice paste, plants and seaweed. 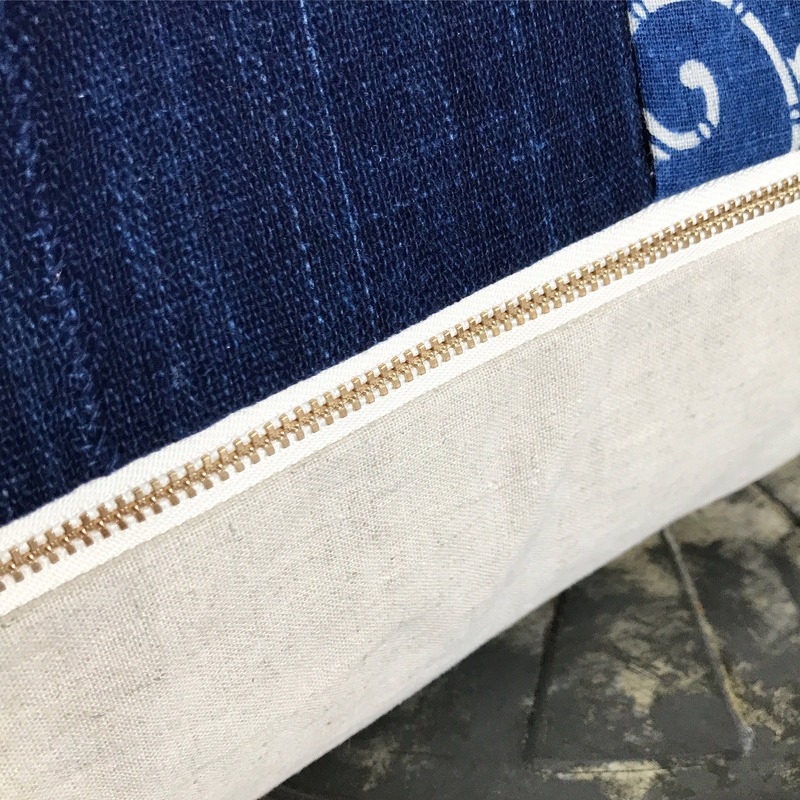 *These are antique Japanese Indigo Katazome that I procure and import directly from Japan. 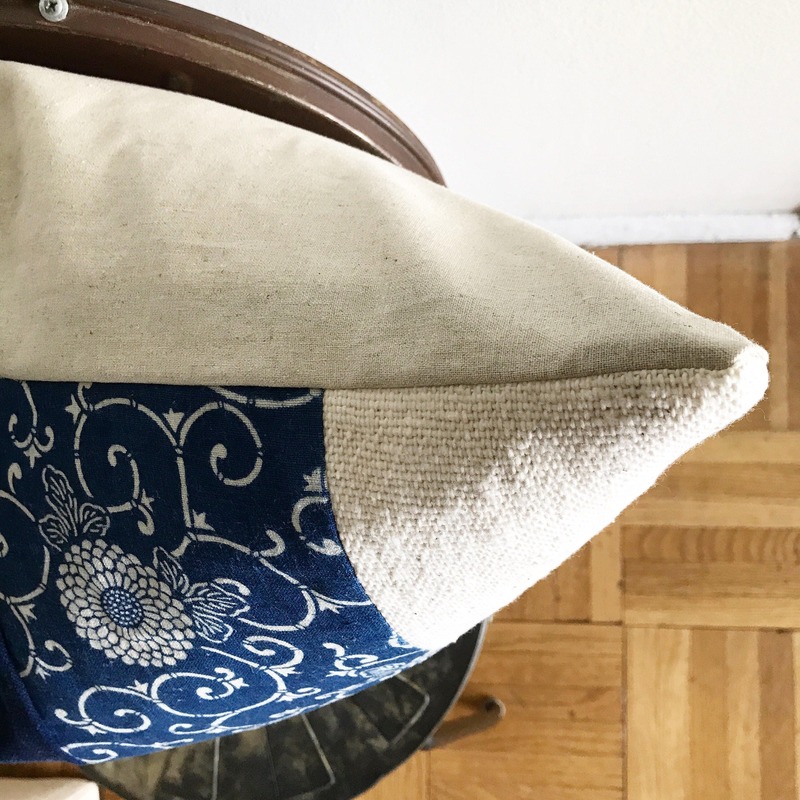 Artisanal textiles from this era are extremely rare and difficult to find in such pristine condition. 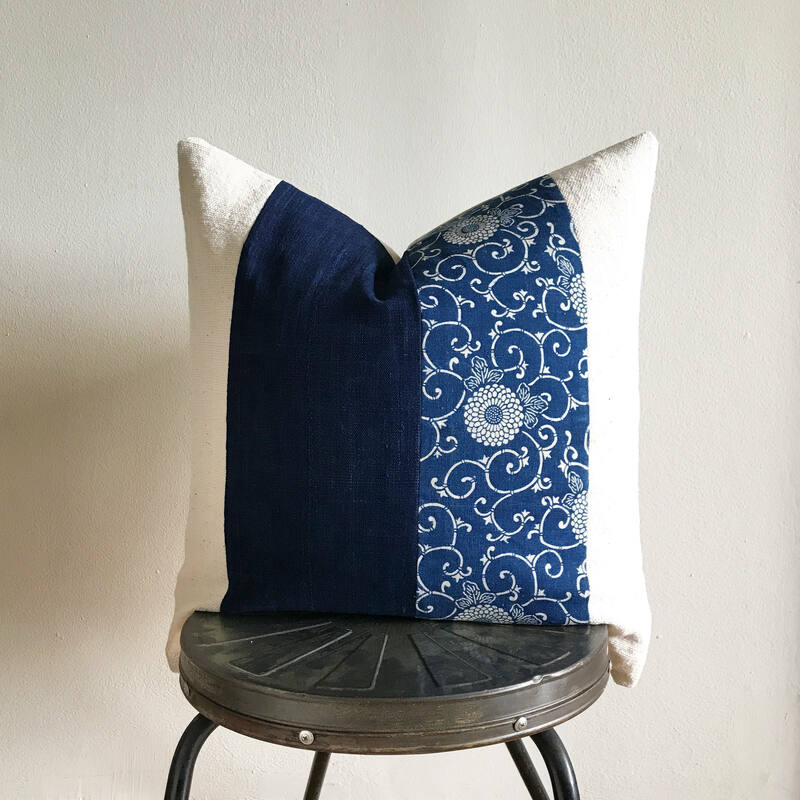 One of a kind, original patterns for your home. 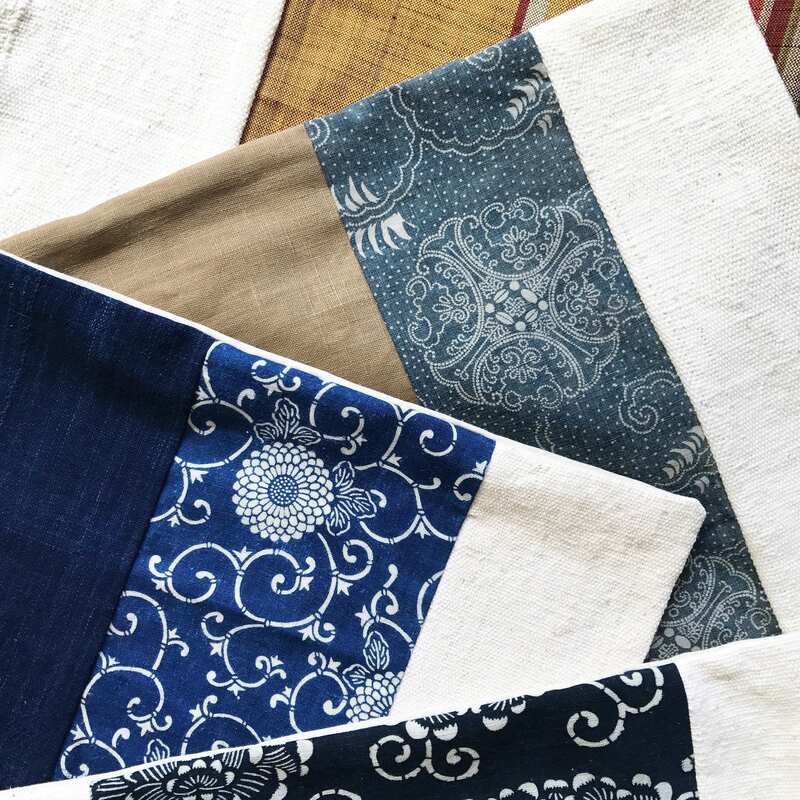 *Due to the nature of antique/handmade textiles, there may be color variations, spots or small faded water marks.